November 1st 1991: Keel struck. 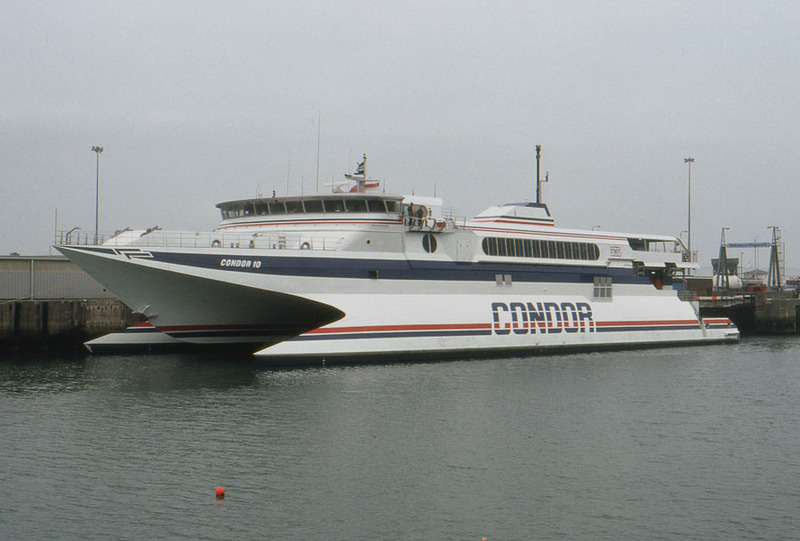 September 30th 1992: Launched as CONDOR 10. 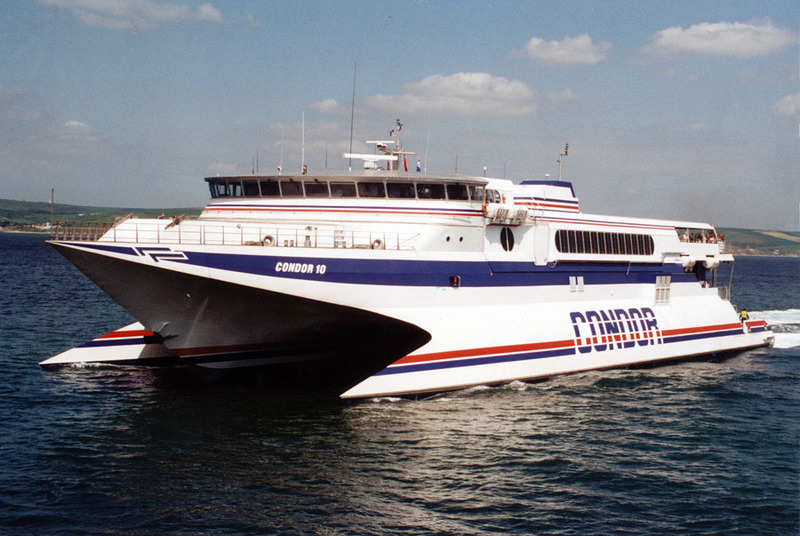 December 11th 1992: Delivered to Enterprise Trading Pte Ltd., Singapore, (Condor Pte. ), Weymouth. 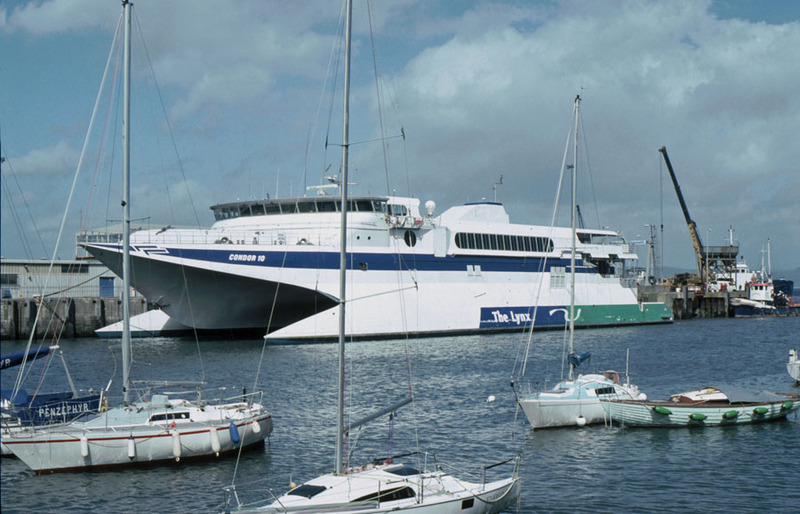 February 11th 1993: Left Hobart for Weymouth. March 5th 1993: Arrived at Weymouth. 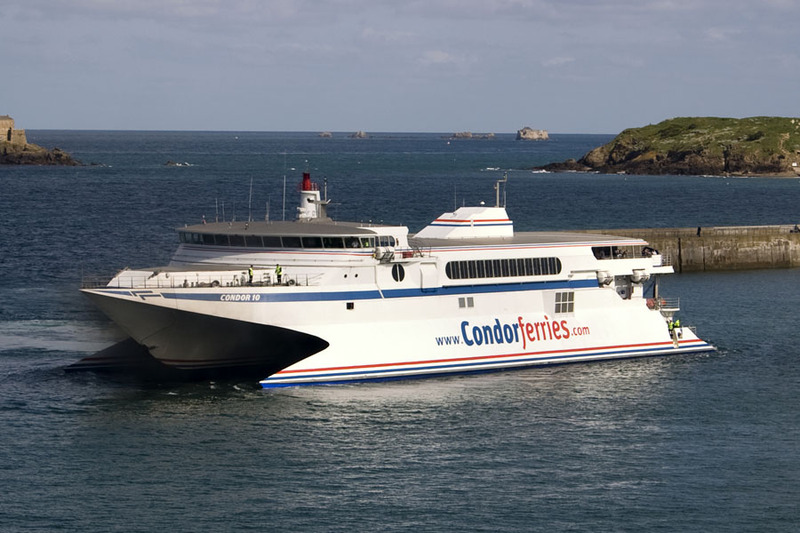 April 1st 1993 – October 28th 1994: Operated for Condor Ferries between Weymouth – Guernsey – Jersey. November 20th 1994 – December 15th 1994: Transferred from Weymouth to Wellington N.Z. December 21st 1994 – April 1995: Chartered to New Zealand Railways for services between Wellington – Picton. Took the trading name “THE LYNX”. 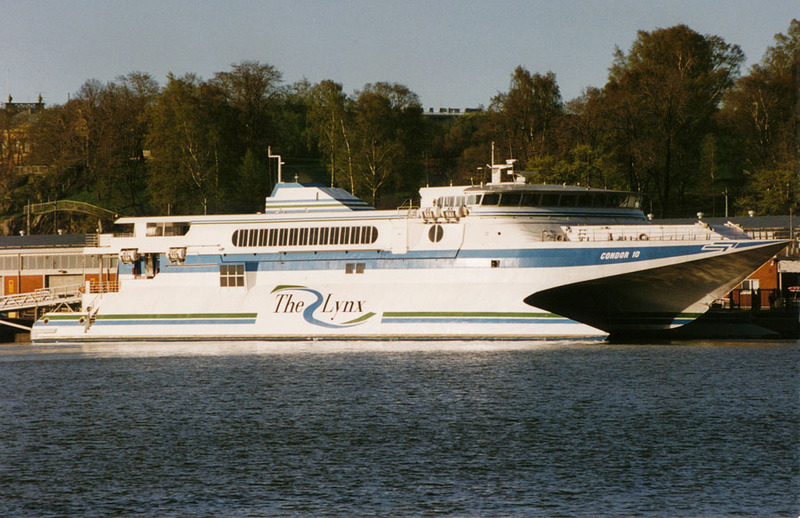 April 24th 1995 – May 22nd 1995: Transferred from Wellington to Helsinki. 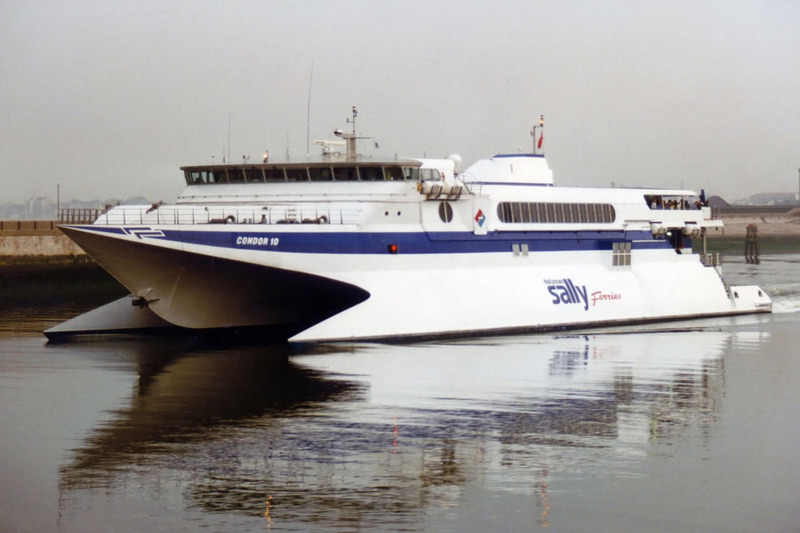 May 1995: Chartered to SF-Line, Mariehamn Finland. 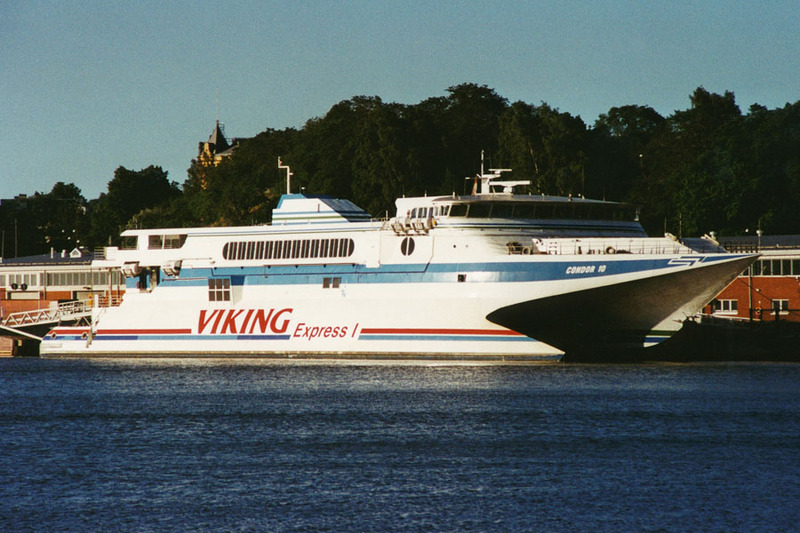 June 1st 1995 – September 30th 1995: Operated for Viking Lines between Helsinki -Tallinn under the trading name “VIKING EXPRESS I”. October 1st 1995: Transferred from Helsinki to Portsmouth. 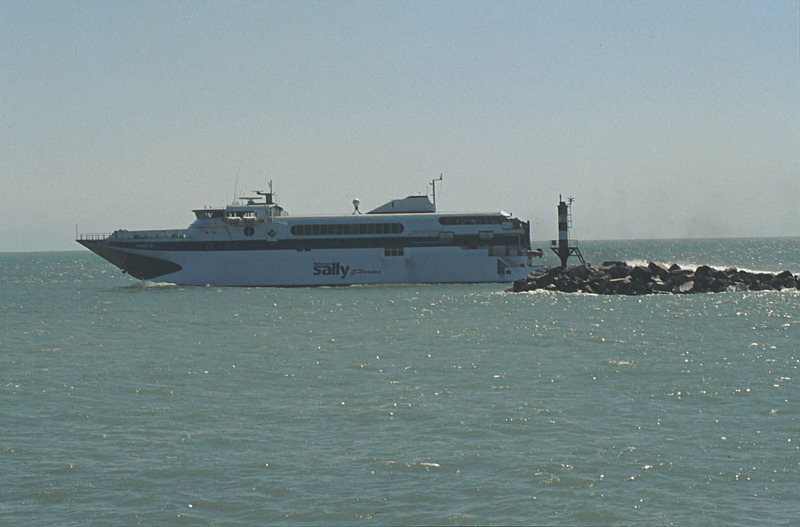 October 27th 1995: Left Portsmouth for New Zealand. November 3rd 1995 – April 14th 1996: Chartered to Tranz Rail for services between Wellington – Picton. April 17th 1996: Left Wellington for Portland. 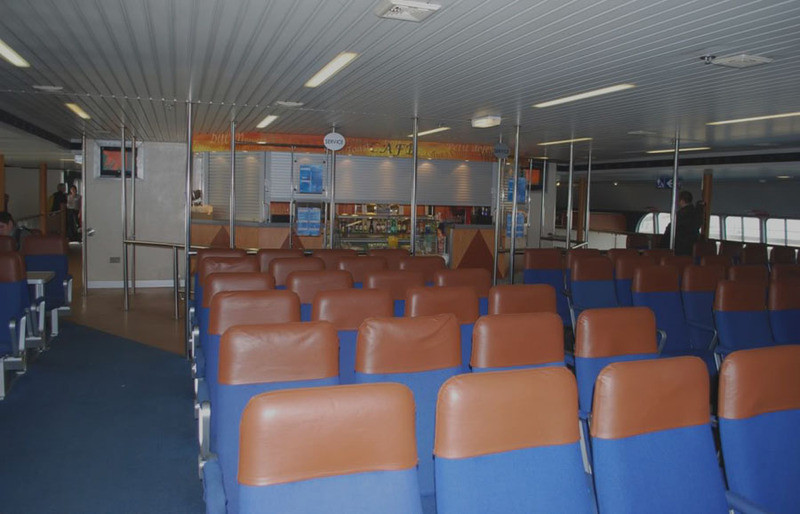 May 17th 1996 – October 14th 1996: Chartered to Stena Line for services between Fishguard – Rosslare. November 16th 1996: Left Liverpool for Wellington. December 13th 1996 – April 2nd 1997: Chartered to Tranz Rail for services between Wellington – Picton. 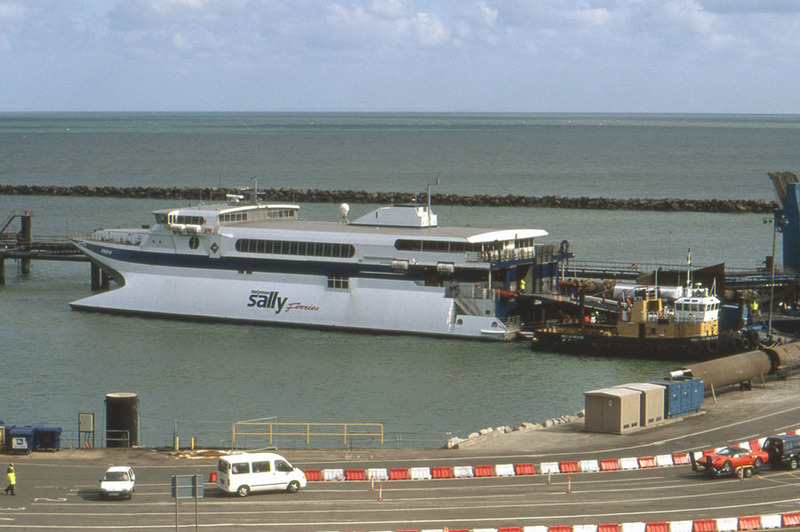 April 5th 1997 – April 30th 1997: Left Wellington for Ramsgate. Called at Weymouth. 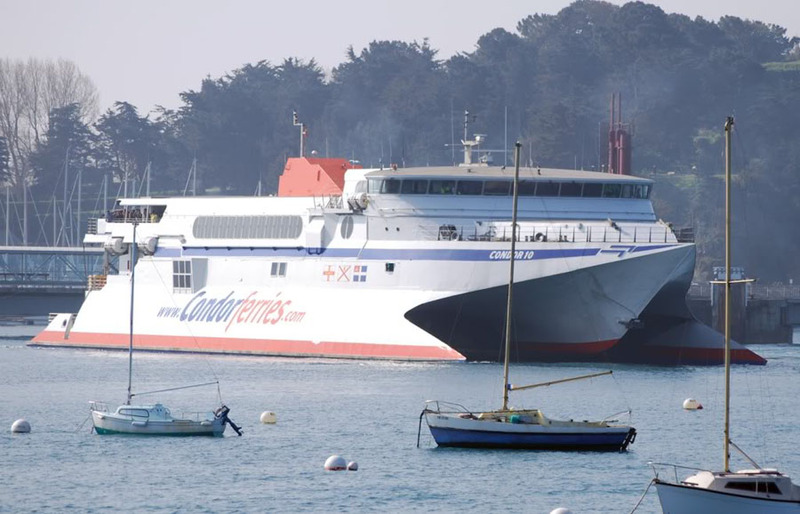 Initially for a new route between Weymouth and St Malo via Guernsey, but stayed at Ramsgate where she was required by Holyman. April 30th 1997: Arrived in Ramsgate. 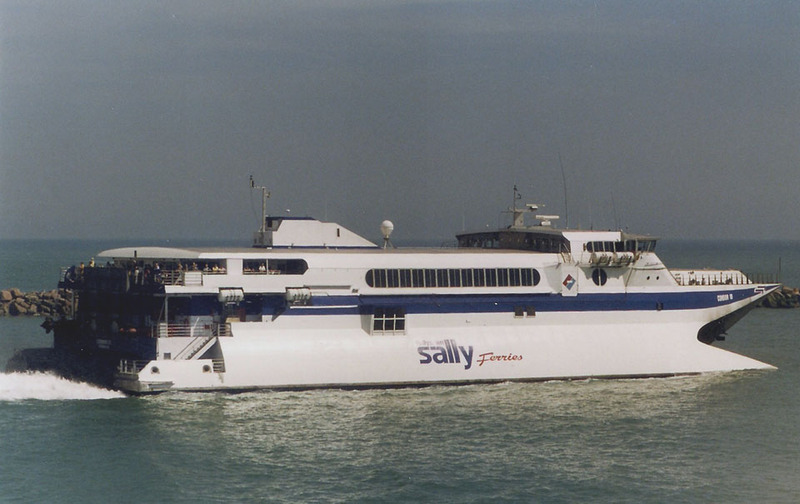 May 15th 1997 – October 3rd 1997: Chartered to Holyman Sally Ferries for services between Ramsgate – Dunkerque. November 12th 1997 – December 7th 1997: Left Liverpool for Wellington. December 10th 1997 – March 16th 1998: Chartered to Tranz Rail for services between Wellington – Picton. March 16th 1998: Whilst sailing from Wellington to Picton dived into a deep trough during a 3m swell. The impact drove the bow door section upwards by a couple of feet, shearing and tearing internal beams, frames and stanchions and buckling the fo’csle deck plating. The internal buckling caused serious damage. Temporary repairs were made and later she left for Singapore and full repairs. 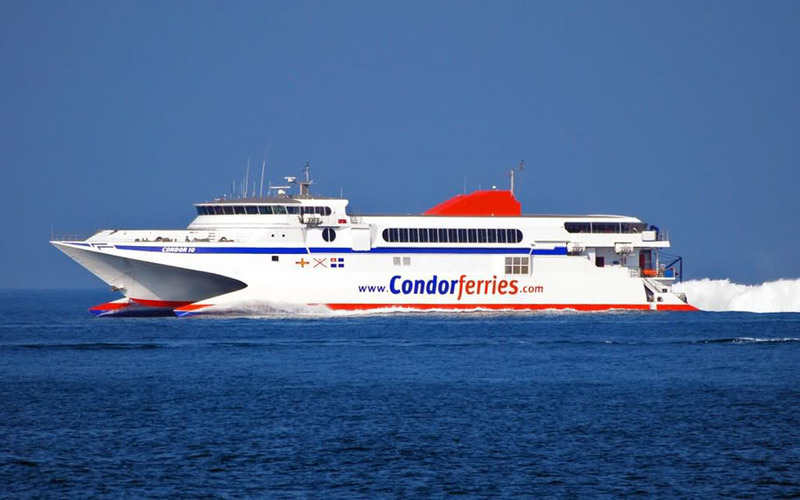 May 14th 1998 – May 28th 1998: Left Singapore for Algeciras. 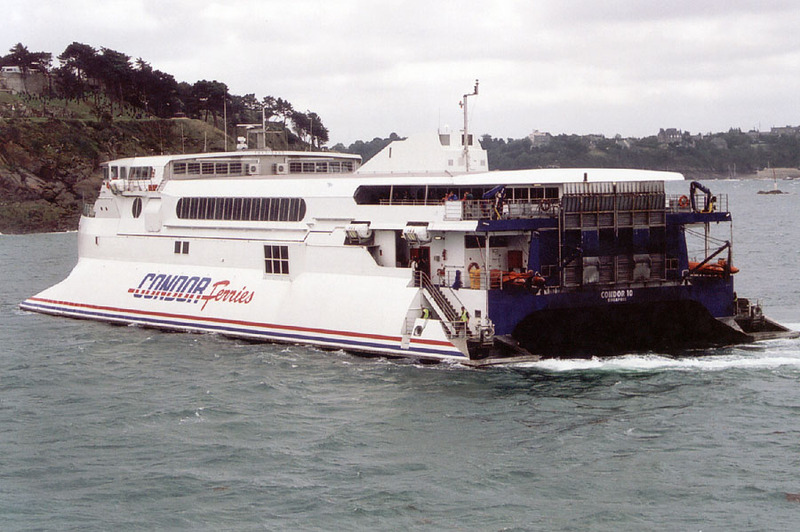 June 1998: Proposed charter to Euroferrys, Spain did not take place and she was later laid up in Weymouth. 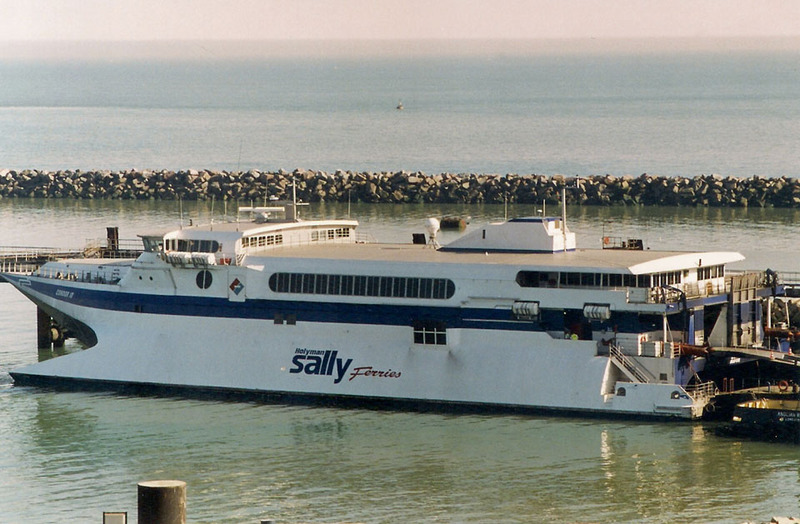 November 4th 1998 – December 2nd 1998: Left Weymouth for Wellington via Malta, Djibouti, Colombo, Cilacap (Java), Cairns. December 9th 1998 – July 11th 1999: Chartered to Tranz Rail for services between Wellington – Picton. July 1999: Laid up in Wellington. 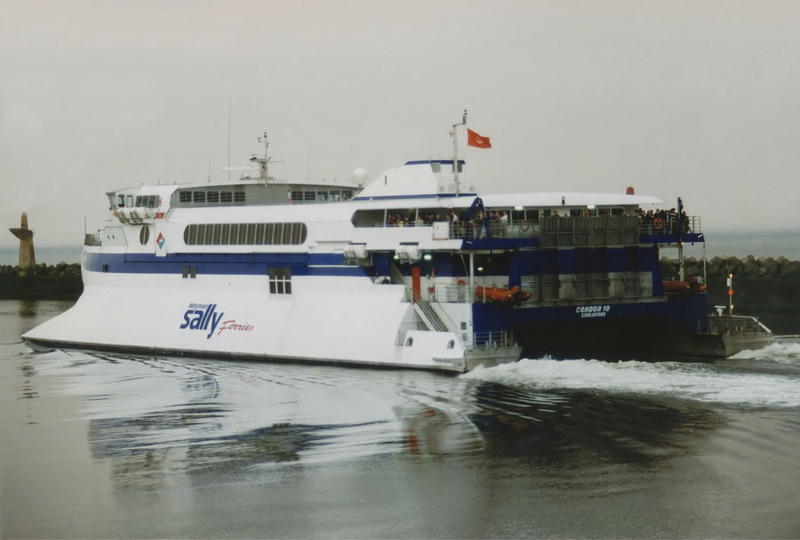 September 11th 1999: Chartered to Transport Tasmania. 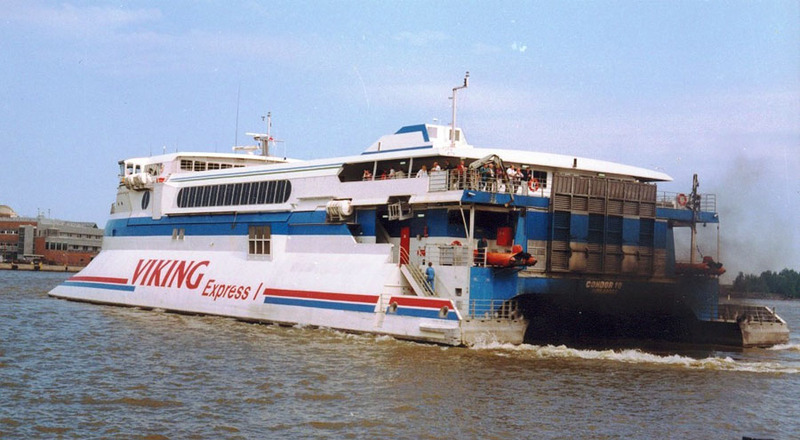 September 12th 1999 – September 25th 1999: Operated between Melbourne – Georgetown. September 26th 1999: Laid up in Hobart. 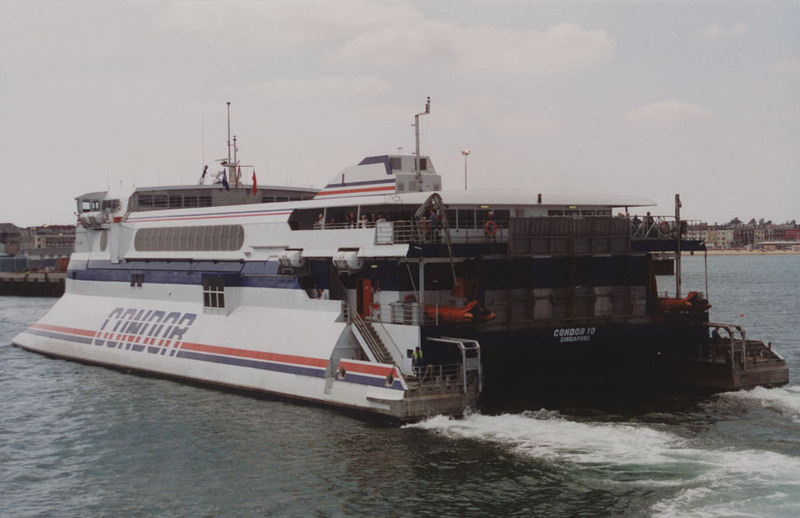 2001: Planned sale to Tylos Ferry for services between Arab Emirates – Dubai – Kuwait did not materialise. 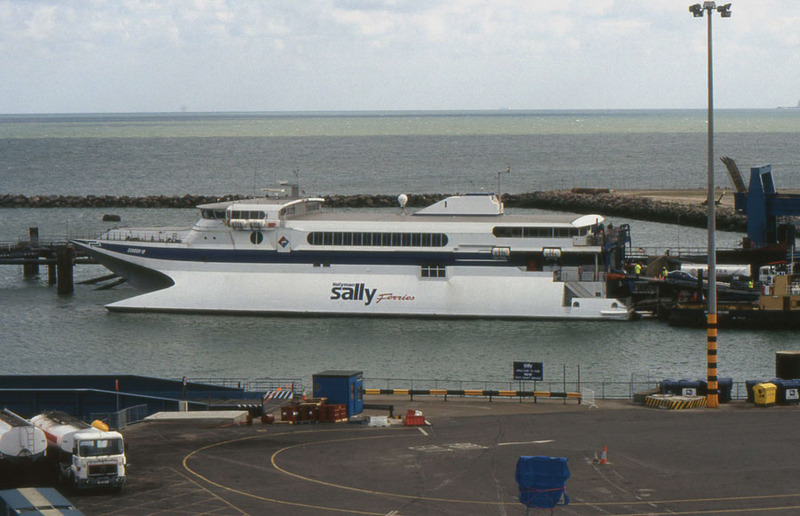 February 2002: Left Hobart for Poole. 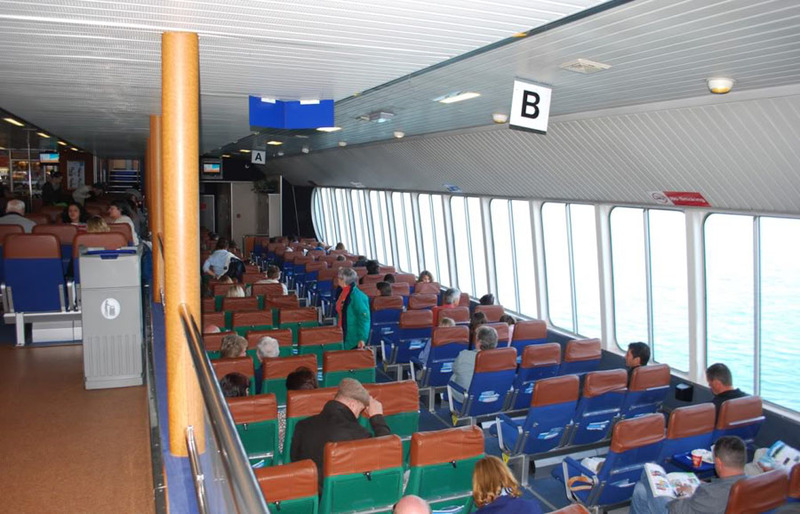 March 1st 2002: Arrived at Poole. 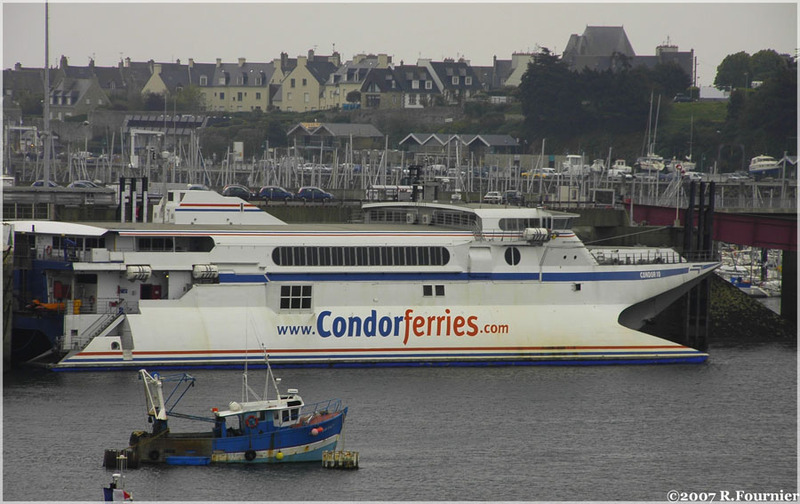 March 27th 2002: Chartered to Condor Ferries for services between Jersey – Guernsey – St. Malo. 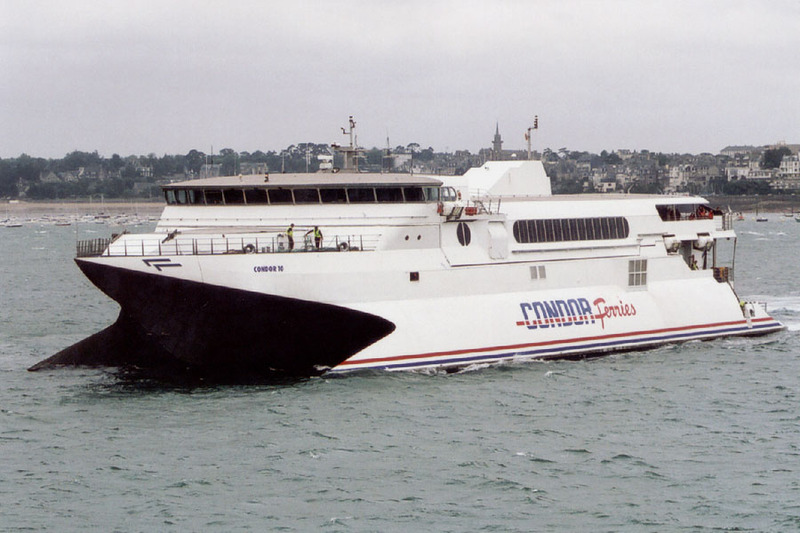 2004 – 2005: Registered owner; Condor Ltd.
June 2010: Withdrawn from service. 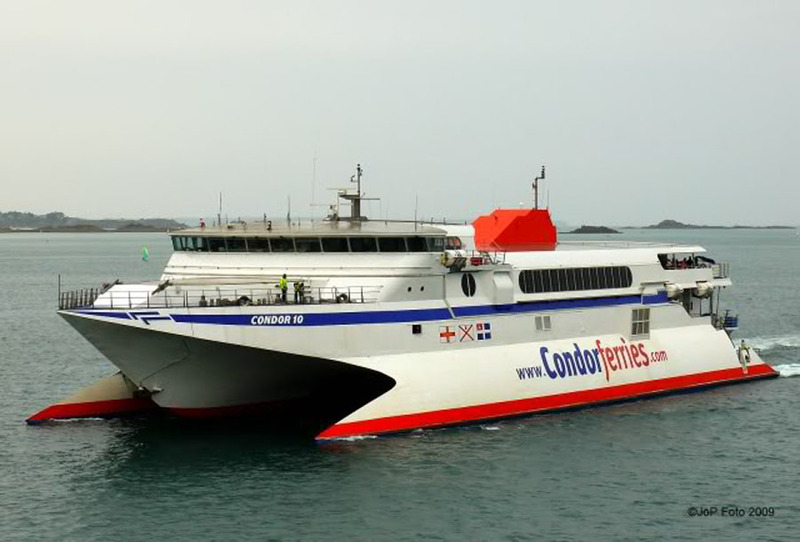 September 2010: Plans to re-introduce her into service, as cover for CONDOR VITESSE (off service with technical problems with two of her engines). September 26th 2010: Unable to act as cover owing to technical problems of her own. 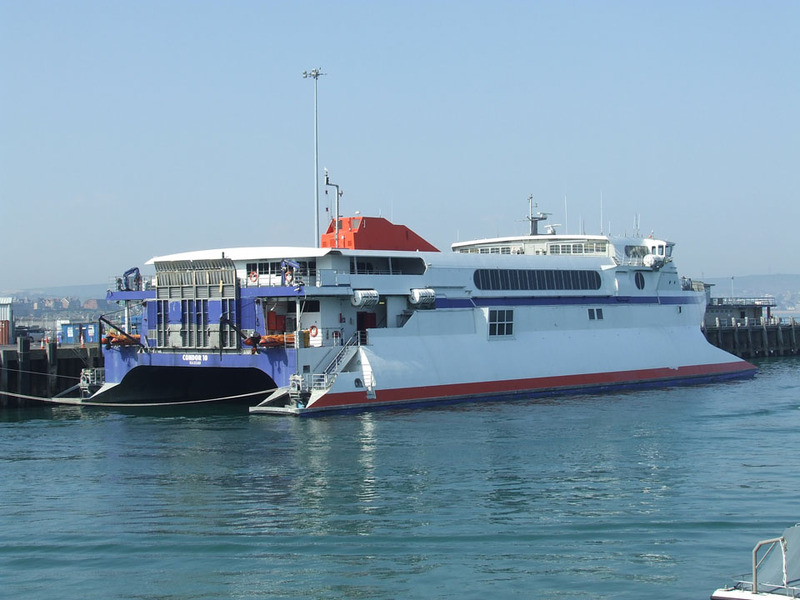 September 2010: Sold to Jan Heung Ferry, South Korea. September 20th 2011: Left Weymouth for South Korea. 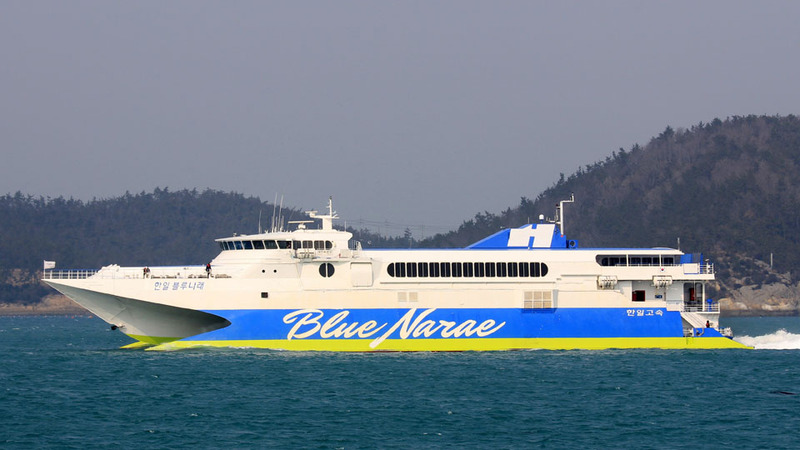 December 1st 2011: Registered Owner; Hanil Express Co., Ltd, South Korea serving Jeju-do Island. Renamed HANIL BLUE NARAE. 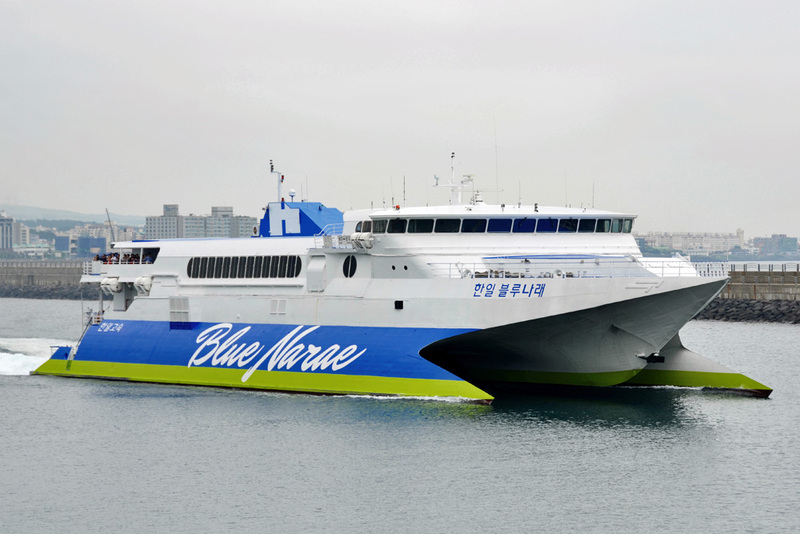 February 2016: Remains in service with the Hanil Express Company between Jeju-do Island – Wando, South Korea. All information is believed to be correct and no responsibility is accepted for any errors or omissions found. All items included in this article are subject to © copyright. We would like to take this opportunity of thanking: “The Ferryman”, Ton Grootenboer, George Holland, Pieter Inpyn, Dirk Jankowsky, Joonas Kortelainen, Lappino, Ken Larwood, Jörn Prestien, Marko Stampehl, Incat Tasmania, Uwe Jakob and Andreas Wörteler for their assistance in producing this feature. 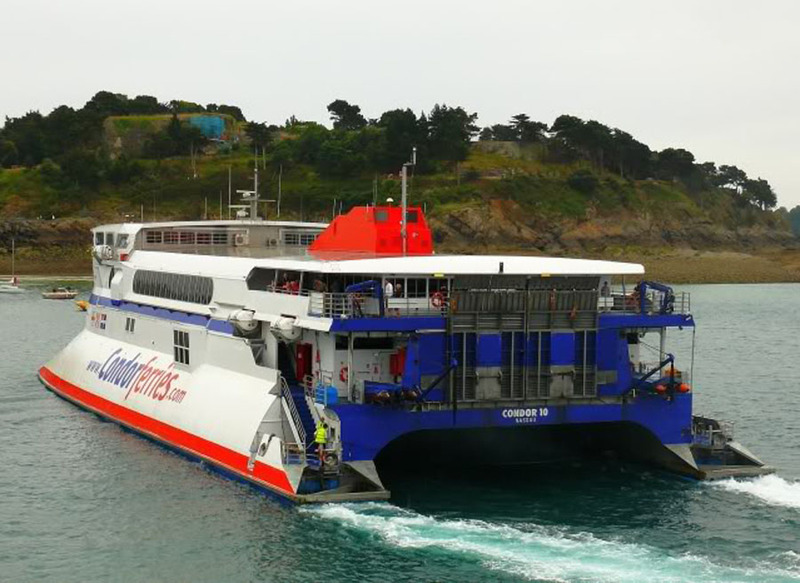 now operating again in weymouth this year 2013, wen went on her in october to guernsey my wife was ill on the way over, but not on the return smooth ride and quick for me, good days.